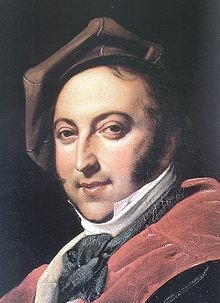 Rossini composed the petite messe solennelle in 1863, 34 years after his last opera to which he called it "the last of my péchés de vieillesse" (sins of old age). 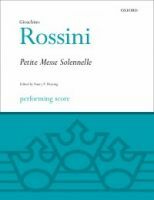 The most popular vocal scores for Rossini's Messe Solennelle are shown below. Gioachino Rossini's Petite Messe Solennelle was written in 1863, "the last", the composer called it, "of my pêchés de vieillesse" (sins of old age). "Good God—behold completed this poor little Mass—is it indeed sacred music [la musique sacrée] that I have just written, or merely some damned music [la sacré musique]? You know well, I was born for comic opera. Little science, a little heart, that is all. So may you be blessed, and grant me Paradise!" Its first performance was at the dedication (14 March 1864) of the private chapel in the hôtel of Louise, comtesse de Pillet-Will, to whom Rossini dedicated this refined and elegant piece, which avoids the sentimental opulence of most contemporary liturgical works, such as those by Charles Gounod. 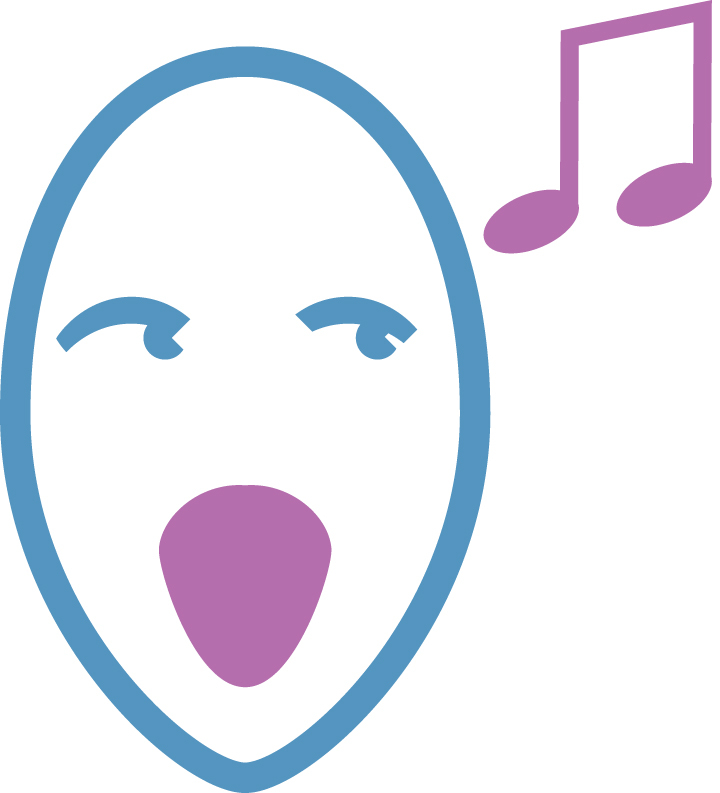 Rossini specified twelve singers in all, with the soloists doubling the SATB chorus, and scored it for two pianos and harmonium. Among the first hearers were Giacomo Meyerbeer and Daniel Auber and Ambroise Thomas, who would succeed Auber as director of the Paris Conservatoire. Albert Lavignac, aged eighteen, conducted from the harmonium. The soloists were Carlotta and Barbara Marchisio, Italo Gardoni and Luigi Agnesi. It has been said that all this piece requires is a small hall, two pianos, a harmonium, eight choristers and the four greatest singers on Earth. Partly for fear that it would be done anyway after his death, Rossini discreetly orchestrated the Petite Messe Solennelle during 1866-67, without losing its candor and subtlety, and the resulting version had its first public performance on 28 February 1869, three months after the composer's death, and as close as could be to what would have been Rossini's seventy-seventh birthday— at the Théâtre-Italien, Paris. That year both versions were published. The hymn O salutaris hostia is not usually part of the Mass.